Compact Relief Subplate – NG6 | Tucson Hydrocontrols Pvt. Ltd. The MBR03 subplate is a CETOP3 manifold with an inbuilt relief valve to limits system pressure by directing flow from the P to T Port when pump pressure reaches the valve setting. 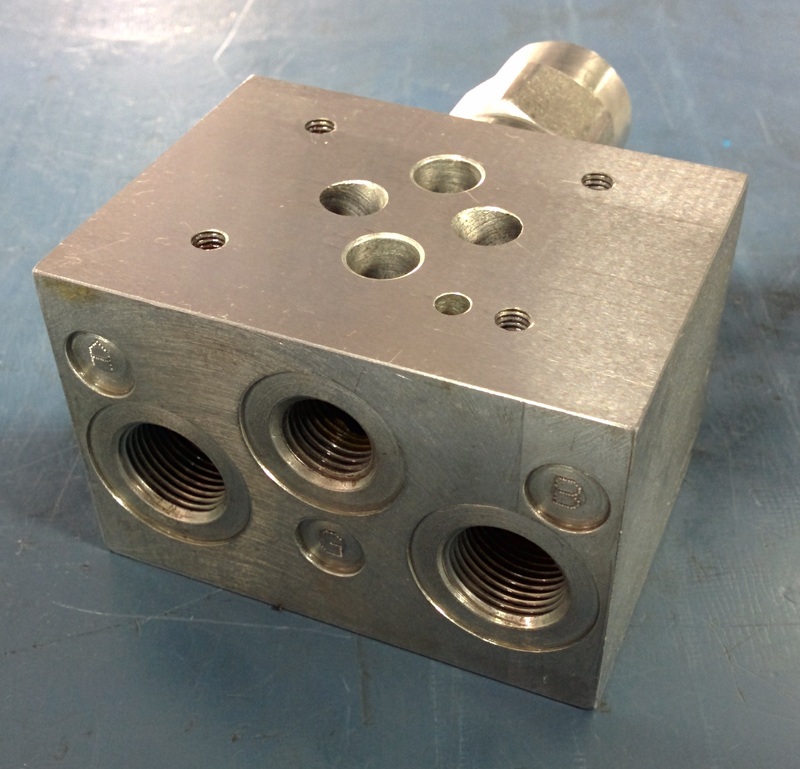 It reduces the need for an additional relief valve when using CETOP3 modular stacking valve. As with all direct acting relief valves, when the pressure exceeds the spring force, the poppet moves back, opening the Pressure Port (P) to the Tank Port (T). Buffer on the nose dampens the vibrations on the valve giving a smooth operation. 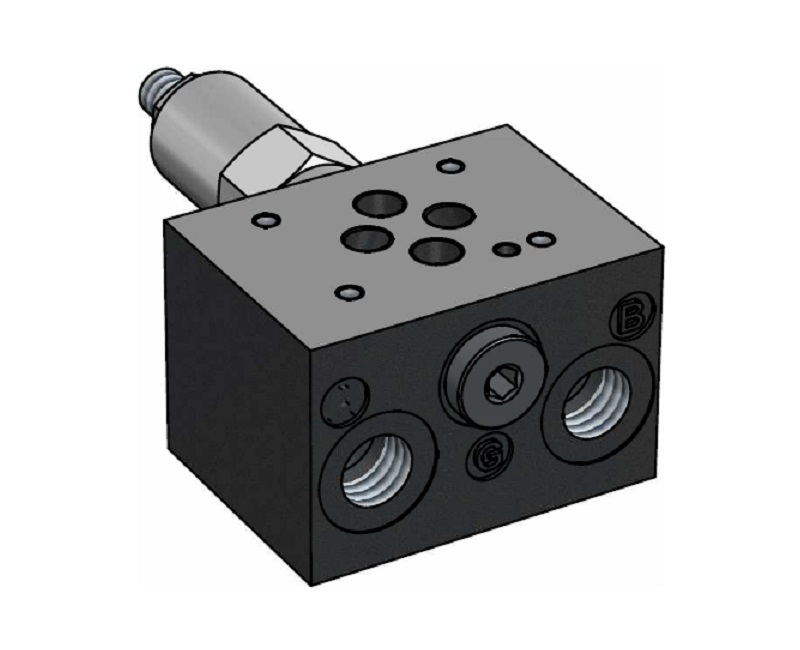 CETOP3 interface provides sandwiched stacking for directional control valves and other modular valves. Mating surfaces are ground and ports with OE rings are spot faced. The valve pressure setting is adjustable by means of an adjusting knob and locknut.